This summer, I’ve treated myself to a Durrell-fest, re-reading them in the order they were written, starting off with The Overloaded Ark which was first published in 1953 (the year before I was born). The tone is nice and friendly. However eccentric and/or different people - and animals - are accepted for who they are and portrayed sympathetically and with humour - even if they are members of your family. The stories are bursting with adventure, energy and enthusiasm (and so are the titles). 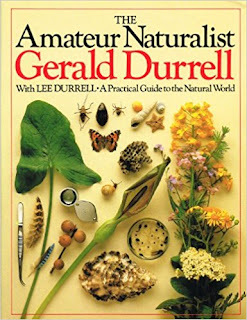 For me, Gerald Durrell's writing inspires awe and wonder for the natural world and a desire to find out more about every creature. This summer, for the first time, I read Gerald Durrell: The Authorised Biography by Douglas Botting (2000). I discovered that, as well as being a charming and articulate champion of wildlife, the man behind the books was a complex and often difficult character. Writing didn’t come easy to him. 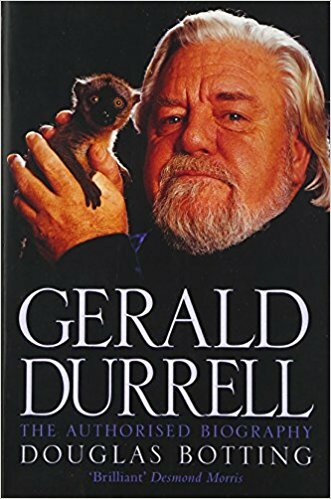 As a child, I often wished I could meet Gerald Durrell. According to the Authorised Biography, he started writing My Family and Other Animals in 1955 when he and his wife were living in an apartment at 70A Holden Road, Woodside Park, London. In 1975, my late husband and I started our life together in an apartment at 72A Holden Road. So we were next door neighbours 20 years apart - an incredibly tenuous connection, but one that put a big smile on my face! What author has inspired you most? Jane's picture books all feature animals in some way, shape or form, and she has lots of fun researching each and every one, even though very little of the research gets used in the texts! A lovely post, Jane. I've never read any Durrell – I can see I will have to remedy that. And what a pleasing coincidence with the house. Hope you enjoy the books! Yep Sally, I'd struggle at the taxidermy, too! My younger son kept stick insects, corn snake and 2 bearded dragons - the latter ate live crickets which escaped and set up a small breeding colony somewhere at the back of the house - it sounded like a rainforest in the evenings. We had to let the bearded dragons lose for a while to catch them. Ah we have stick insects! Spike has plans for a whole menagerie. Thankfully my parents have loads of animals, tortoises, corn snake, rheas, so he can get his fill without it being in my garden! Although when i was young i had a 5 foot long iguana that escaped, and so i can imagine what the great Bearded Dragon chase was like. 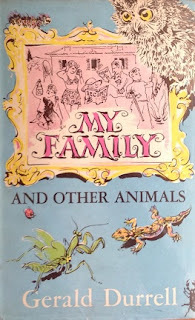 I'm a huge fan of My Family and Other Animals - such a wonderful mixture of falling over with laughter funny moments, detailed observation of the natural world, and really lyrical descriptions of the landscape of Corfu. Have to confess that when I first read the Durrell books, I skipped over the descriptions - but as an adult, I really appreciate their poetic quality. "My Family and Other Animals' is a good place to start. How amazing that your lived so near and what an interesting blog post, Jane. I've never read one of his books and I don't think a childhood author inspired me in the same way, but after reading your blog post I rather wish I'd had that influence. Thinking about it, perhaps illustrated fairytales were my inspiration - I've always been partial to a clear structure, magic/fantasy, romance/love, and good overcoming evil! We're an independent group of professional children's authors based in the UK, who met through the Scattered Authors’ Society. Back in 2011 we created the Picture Book Den to share our passion for picture books. 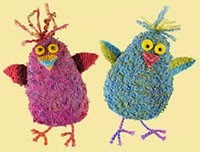 All opinions are entirely our own and we enjoy reading your comments. Please note: We do not review books or endorse products. Shifty McGifty and Slippery Sam The Missing Masterpiece! Richard Jewitt for designing our header.